Naturally, your eyes produce tears for lubrication and protection. This is a part of the eye process, which you can’t control. In some cases, however, tearing is a sign of an eye problem. Get in touch with your local emergency eye care services specialist if your eye discharge is accompanied by swelling, pain and other symptoms. Vision Care Associates discusses when eye mucus should be a concern. Notice the gunk that may have already crusted up in the corners of your eyes whenever you wake up. It’s normal, and everyone experiences this. Technically, this eye discharge is called rheum. It often appears as a yellow, thick substance, which either becomes sticky or crusty, depending on whether the liquid has evaporated or dried up. It also consists of eye mucus, skin cells, oil and other debris, which accumulates in the corners of your eyes while you sleep. How can you tell if your eye discharge isn’t healthy anymore? Excessive eye mucus with unusual consistency may indicate eye-related problems. For instance, people with pink eye or conjunctivitis may notice white, yellow, or green mucus that is stringy and thick enough to make you uncomfortable. This may also be followed by severe crusting. Apart from pink eye, sty may also cause the infected eye to produce thick and yellow pus. Dry eyes, on the other hand, comes with watery eye discharge. Visit your certified opticians or eye doctors to determine if you have these eye problems. Your eye doctor may suggest some treatment if you have eye discharge caused by an eye problem. This may include eye drops to treat conjunctivitis, dry eyes, or corneal ulcers. Eyeglasses instead of contact lenses may also be prescribed to let your eyes heal. 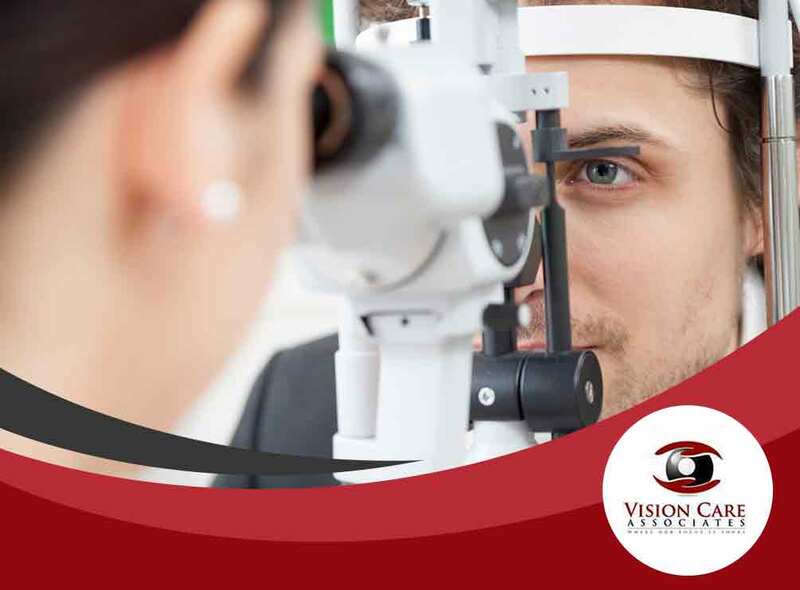 Vision Care Associates offers eye care and optical services to keep your eyes healthy and your vision clear. Call us today at (304) 315-6055 or (304) 808-1209. You can also fill out our online form to schedule an appointment. We serve residents of Parkersburg, WV, and other nearby areas.